Hi, welcome to Telford Hypnotherapy. I really enjoy helping people to make positive lifestyle changes. 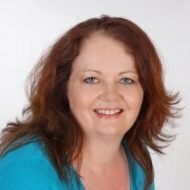 Having a background in the care sector and extensive experience with people from all kinds of backgrounds, I bring my experiences into the therapy room, as it is important that you feel comfortable with me. I’m friendly but at the same time remain professional. I am a full time, fully qualified, clinical hypnotherapist/ psychotherapist, Specialise in Weight Control and Smoking Cessation. also fully insured and a member of the GHR and also the International Association for Evidence Based Psychotherapy (IEABP). Before qualifying I went through my own therapy which has given me a good insight into how we can change ourselves and our lives for the better, so now I am very passionate about helping others to do the same. It would be my pleasure to help you to reach your goals, make those positive changes in your life, whether it is to become a happy non smoker, reaching your desired healthy weight or to resolve any unwanted issues you may have. So if you are ready to make the change then please take that first step by getting in touch with me, and finding out how I can help YOU!.. I am committed to an ongoing programme of personal development in the field and attend regular training seminars to keep up to date. Some of the problems I deal with are the treatment of fears and phobias, anxiety, low self esteem, stress, quitting smoking and weight loss. I am enthusiastic and passionate about the benefits that Hypnotherapy can bring. Although we are all unique, we all have, as human beings, the same emotional needs.